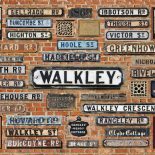 March’s talk is by Hugh Waterhouse about ‘The Baron of Walkley’. 7pm, Friday 11th March 2016, Walkley Community Centre. Entry is free and there will be a small cafe. This entry was posted on March 1, 2016 by Bill Bevan in Uncategorized.